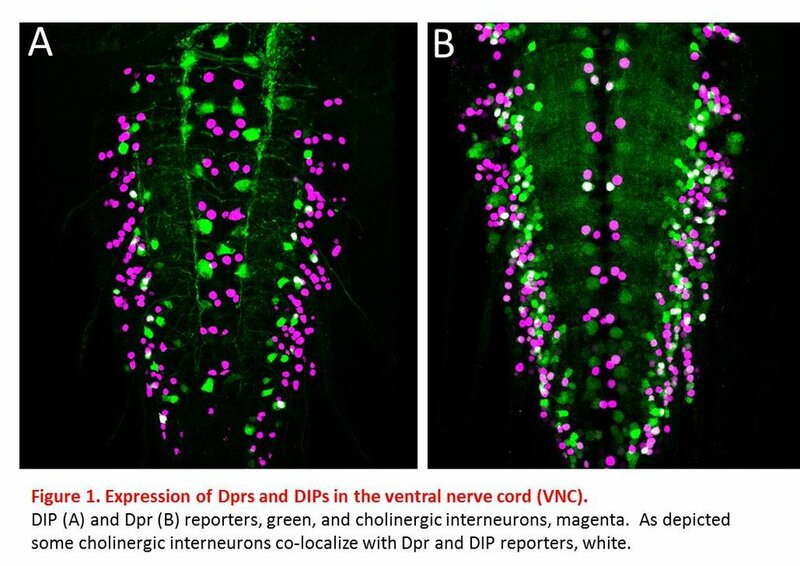 Upstream of muscle innervation, motor neurons receive input from interneurons in the VNC (analogous to the vertebrate spinal cord). These interneurons integrate information from the central brain as well as sensory input in order to produce an appropriate downstream motor response. 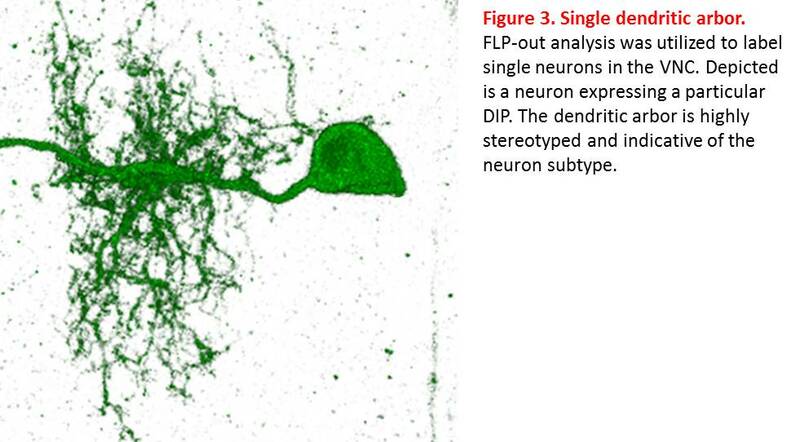 Dprs and DIPs are expressed in interneurons (Figure 1) and motor neurons. Here we ask: do interneurons and motor neurons utilize similar mechanisms as those used in the neuromuscular system for their proper wiring? 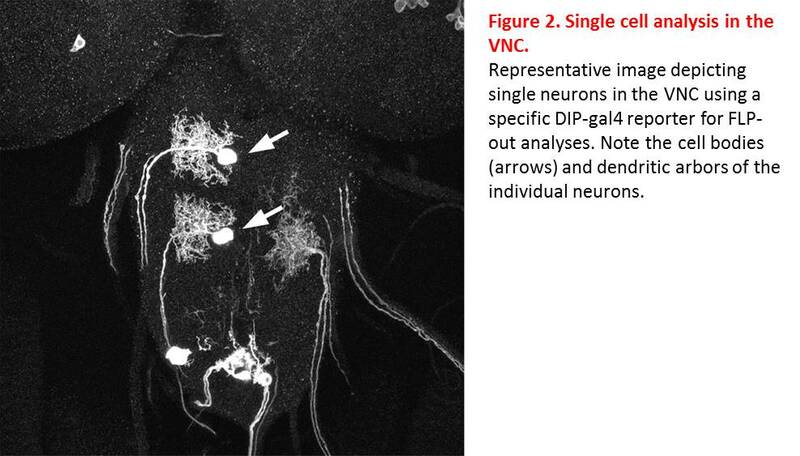 Unlike the NMJ, neuronal processes in the VNC are not sparse enough to allow for single-cell resolution. However, we utilize genetic tools that allow for single-cell resolution of dendritic arbors (Figures 2 and 3) and axon terminals when combined with confocal microscopy. We are actively cataloging the expression of Dprs and DIPs and analyzing loss-of-function mutants. Optogenetic manipulation combined with patch clamp recordings will report how subtle alterations in connectivity perturb synaptic transmission.